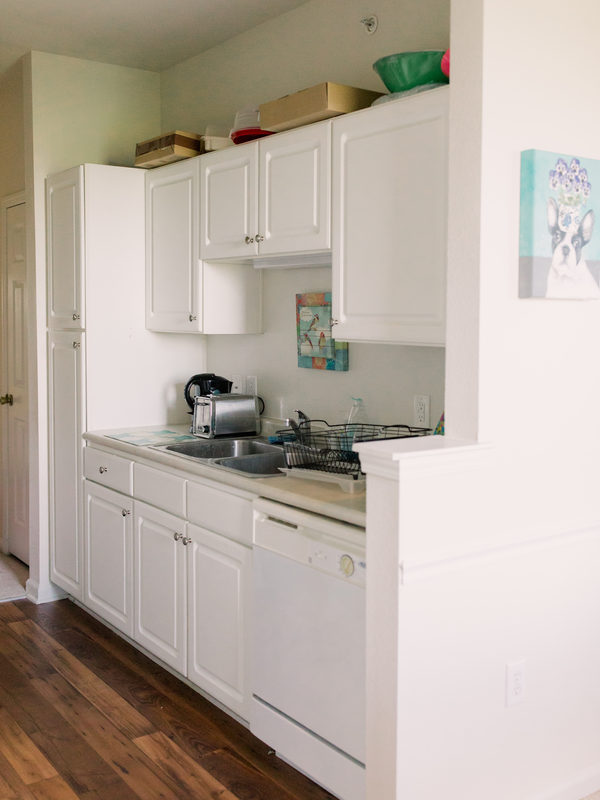 CHARLOTTESVILLE APARTMENT TOUR: Kitchen & Dining Room. I'm continuing my apartment tour in today's blog post! Last Tuesday, I showed my living room, and today we'll be moving over to the kitchen and dining room tours. Here is my little kitchen and dining room! I was so excited that my apartment here in Charlottesville had a specific open dining room area. 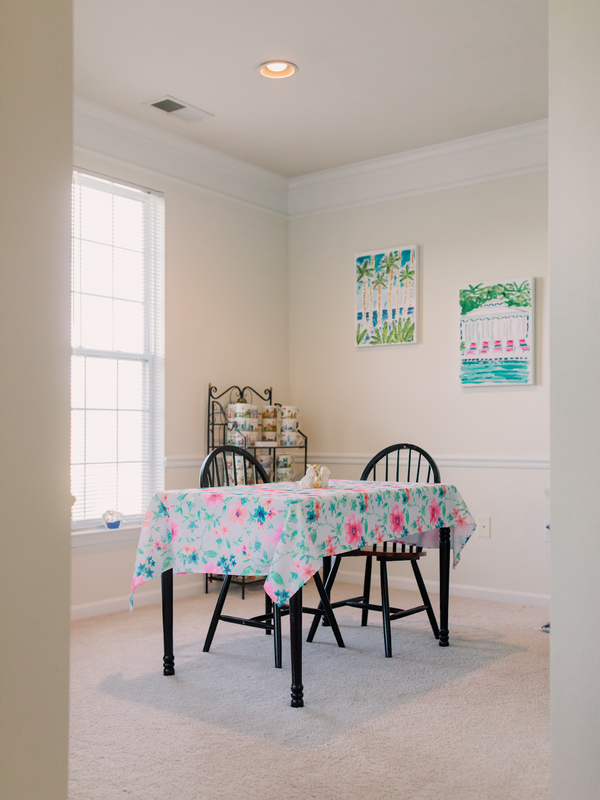 I had a dining room spot in my first apartment in Charlotte, but my Vermont apartment had a mostly open floor plan, so I had the dining table at the edge of my living room. The dining room in my current apartment obviously isn't huge, but it does have more than enough room for my table and chairs, and a few decorative pieces as well. Since these photos were taken, one of my dining chairs actually broke. This weekend I'm planning to go to At Home to look for two new dining chairs. As y'all know, I am obsessed with At Home and most of my home decor comes from that store! The two gorgeous paintings in my dining room are from there (of course!). 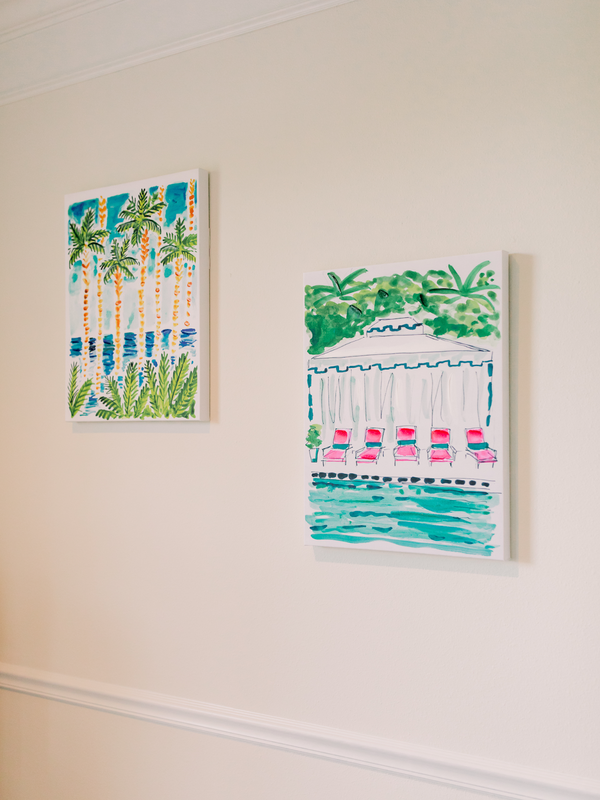 I absolutely fell in love when I saw these two paintings- they reminded me so much of Lilly Pulitzer's bright and colorful designs! My apartment kitchen is very small, as you can see from the pictures above. The size has been an adjustment to get used to, as my kitchen in my Vermont apartment was about twice the size! 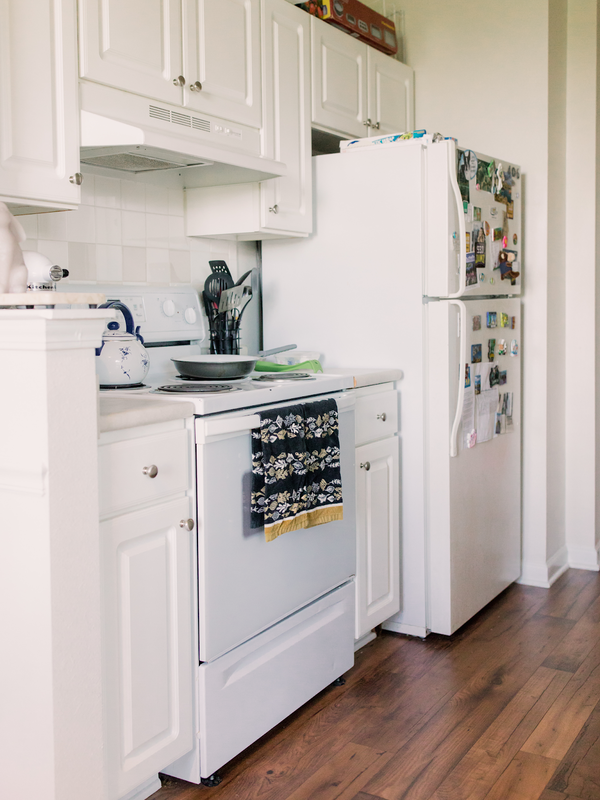 But I do love the white cabinets, and how bright it is from all of the apartment natural light. Hopefully my next place will have a little more counter space, but I'm able to make do with what I have here! You can check out last week's post, my Charlottesville apartment living room, in this blog post! Next Tuesday we will be continuing the apartment tour. Midweek Ramblings will be coming up for your Wednesday tomorrow, as always! Thanks so much for reading, and hope you're having a good week so far. I love your artwork, makes the space so bright & cherry! Love seeing your apartment decor! I'm really digging those paintings in the kitchen - so colorful and fun! I love how you have it decorated. Decorating an apt the way I want is always tricky for me. That white kitchen is goals, girl! I also love the pops of color you added as well. Awe it's so cute! I love it!!! So cute! Decorating is a great way to create a space that reflects who you are. Love it.